Welcome to the The Point, PTCMW's new Blog - a replacement of our quarterly Newsletter. Articles will be posted here throughout each month comprizing of long time standbys, new additions, and updates from the president and board. As members, please feel free to post your comments and thoughts in relation to each article. In the Spring of 2018, I won a competition (and cash prize!) being hosted by George Mason University called the 3-Minute Thesis (3MT). The idea behind the competition, which was first held at the University of Queensland and is now annually held at over 200 universities around the world, is to push PhD students (who have successfully proposed their dissertation) to distill their entire dissertation into a succinct 3-minute pitch. The pitch must clearly and engagingly explain their work to a lay audience. The goal of the competition is to enhance presentation and communications skills for doctoral students. Guided by the 3MT guidelines, my pitch had three sections. Below, I share some excerpts from the script I wrote for my presentation. Section #1: Connect to the audience with a relatable analogy for the research concept. Section #2: Explain the study design. Section #3: Bring it back home with the WHY for why the research matters at all. Feel free to reach out (dshore@gmu.edu) if you want to talk more about distilling your research and/or if you are interested in entering your university’s 3MT competition! I am reaching out to welcome new board members and key volunteers, share some great news about PTCMW’s recent agreement with SIOP to sponsor and help promote the 2019 SIOP Annual Meeting, announce new board members and committee chairs, review 2018 highlights, and share some goals for 2019! I am pleased to welcome newly elected 2019 PTCMW Officers: Recorder Semret Yibass, Secretary Angela Lee, Treasurer James Wilcox, Vice-President for Programs Emilee Tison, and President-Elect Shonna Waters. Joining this fantastic group are committee chairs and key volunteers: Andrew Naber (continuing Membership Committee Chair), Lauren Lanzo (Special Events chair), Kira Foley (Calendars chair), Cliff Haimann (continuing Blog Editor), Winnie Kirkos (incoming Webcast Producer) and Jenna Eagleson (incoming Webmaster). I want to thank these professionals for their support over the incoming year. PTCMW is lucky to have them! We’re always looking for committee members and volunteers, so if you’re interested in helping out with a committee, event or project, please let one of us know! For several years, PTCMW and SIOP leaders have been working hard to identify ways that we can better work together to serve our members and promote our profession. We are pleased to announce that PTCMW and SIOP have reached an agreement to partner for the 2019 SIOP Annual Meeting in National Harbor, MD. PTCMW will receive a full page ad in the conference program and sponsorship of the Newcomer Reception on Wednesday, April 3, from 5:00-6:00 PM. PTCMW leadership felt that the Newcomer Reception gave us the best opportunity to promote our organization to people who are new to I/O psychology, and in the DC region now or in the near future. If you are interested in attending the Newcomer Reception as a PTCMW representative, let us know! In return, PTCMW is helping to promote the conference to our members. Preconference Workshops: You might have already seen PTCMW Rob Michel’s article on the preconference workshops on The Point blog (http://ptcmw.org/blog/7142705). If not, it’s worth a read. Several PTCMW members are involved in the workshops as committee members or presenters. Having been a workshop committee member, presenter, and attendee, I can tell you they are well worth your time and money! Special Preconference Event: SIOP is hosting an event for HR leaders at the National Press Room on Tuesday, April 2 at 5:30 PM called “Top Minds Bottom Lines”. This event will discuss how HR professionals from some of the most innovative and reputable companies in the world are using HR data to generate meaningful insights, drive action, and improve business. An expert panel will share actual examples of the various ways their organizations (Google, Capital One, & Twitter) have applied data-based decision making and organizational science to business-relevant talent issues throughout the employee lifecycle. Tickets are $20 and include a catered networking reception and cash bar before and after the formal presentation. Please share this event with HR leaders in your organization or broader professional network! Sponsorship Opportunities: The SIOP conference is just seven weeks away! Let the attendees know your company is there. Support SIOP as a sponsor or exhibitor and get your company’s name in front of 5,000 IO Psychologists and HR professionals. Contact Susan Rogers, SIOP Manager, Business Development, at srogers@siop.org ASAP for details or visit http://my.siop.org/Conferences/2019-Conference/2019-Partners. You can get an idea of what SIOP events and promotion opportunities are still available here: http://ptcmw.org/announcements/7149172. I want to thank Past-President Josh Isaacson and the members of the 2018 PTCMW Board for doing such a great job providing us with educational and networking opportunities. We’re lucky to have a deep bench of committed professionals to run an organization like this. Last year was highlighted by another outstanding Fall Event, which was attended by over 200 professionals and 30 sponsors with PDRI as the Platinum Sponsor. In addition to the Fall Event, our 9 educational events were well attended and informative. We were pleased to honor Ilene Gast as the winner of the PTCMW Service Award (http://www.ptcmw.org/blog/7131640), and the team consisting of Sabina Diyarova, Cierra Everette, Alexander Fernandes and Jerod White took top honors at the 2018 Consulting Challenge, sponsored by Aon. 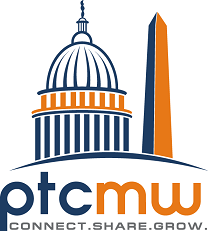 The current PTCMW board is lining up a great series of events for 2019, including a strong slate of educational sessions, and some new ideas for networking events. We’re actively seeking sponsors for our events. If you or someone in your organization is interested in promoting their organization through sponsoring a PTCMW event, please reach out to us. We hope to be able to use sponsorship money to bring in some interesting speakers from outside of the DC region. We’re also gearing up for a member survey to learn how we can better serve our members in the future. Your feedback is important – we really do listen! We’re hoping to use the information from the member survey to undertake a strategic planning process in the latter half of the year. If you have thoughts or suggestions on how PTCMW can continue to provide an excellent level of service to our members, please don’t hesitate to let us know. And if you have some colleagues who aren’t involved in PTCMW, send them our way. Our educational sessions and networking events are fantastic places to meet new people and share ideas. The Personnel Testing Council Metro Washington (PTCMW) is pleased to honor Dr. Ilene Gast as the winner of the 2018 PTCMW Service Award. The award is given to members who have volunteered significant time to further the goals of PTCMW, and the winner is selected by a vote among the past presidents of PTCMW. I am an associate professor of IO psychology at George Mason. I have a few different streams of research. Here are brief descriptions of my research in these areas. My main program of research focuses on improving wellness at work. Colleagues (including many graduate students) and I have completed various projects trying to enhance wellness. One strategy involves developing and evaluating workplace positive psychology exercises. In this research, we use experimental designs to evaluate the effectiveness of simple activities that can facilitate the everyday thoughts and behaviors that ultimately lead to greater well-being. These activities include: maintaining a workplace gratitude log, changing social interaction patterns (e.g., fostering new workplace social ties, reducing workplace interruptions), and “job crafting” by making small tweaks to one’s job and how to perform it. In a series of studies, we have found that these activities can lead to better work-related mood. Interestingly, though, the activities do not seem to translate into higher ratings of job satisfaction. We suspect this is because the activities impact the everyday experience of working, but job satisfaction measures more so capture overall evaluations of the job. A second strategy we have begun to purse entails highlighting inaccuracies in predictions about reactions to different work events. Thus, for example, we may overestimate the disappointment we will feel from failing in a challenging work task but undervalue the experience of having tried the task at all. Following from these ideas, we are developing ways to make people aware of these discrepancies and, in turn, to change their corresponding thoughts and behaviors. Another area in which I do research – and a potential way to improve well-being - is by improving the implementation of telework initiatives. Although the majority of large U.S. organizations offer formal telework programs and most jobs are amenable to at least some amount of teleworking, most employees telework very little, if at all(1). Thus, a paradox seems to exist wherein organizations offer telework programs but employees cannot utilize them. If nothing else, this situation has the potential to create unrealistic and unmet expectations. Using various methodologies, colleagues and I have found that direct supervisors are the “bottleneck” who do not assent to their direct reports’ requests to telework. Moreover, we found that supervisors’ views about particular employee’s conscientiousness drive these decisions. Other factors (e.g., the availability of technology allowing for enhanced virtual contact) matter much less than do these interpersonal attributions. In other studies, students and I have examined whether telework actually does translate into the presumed gains in well-being and performance. Using a within-person design, we showed that employees exhibit higher objective performance on days they are teleworking than when working in the office. We also have demonstrated that whether or not people experience better moods while teleworking depends on their personality. Thus, teleworking appears not to be universally beneficial for well-being. My other main research stream focuses on enhancing team effectiveness in high reliability and extreme contexts. Through this work, my colleagues and I seek to understand fundamental team phenomena and to make practical improvements for these specific teams/contexts. Colleagues and I have studied various different kinds of teams/settings, including nuclear power plant control room crews, trauma teams, cockpit crews, mine rescue crews, and surgery teams. Most of our work has centered on team communication, in particular. Repeatedly, this work has demonstrated that the pattern of communication, not the amount of communication, relates to team outcomes/ effectiveness. For instance, we have shown that, during non-routine events, teams are more effective if they hold frequent, brief, unplanned meetings versus, longer planning meetings at regular intervals. Also, colleagues and I recently have explored strategies for enhancing surgical team effectiveness by considering the composition of the team. A few studies in the surgical domain have shown that teams composed of more familiar members (those who have worked together more frequently in the past) tend to be more effective than less familiar teams. We extended this work by examining for which particular pair of team members familiarity is most important (e.g., familiarity between the surgeon and the scrub versus familiarity between the surgeon and the anesthesiologist). Our findings showed that the pair that is most important in terms of surgery length and patient length of hospital stay differed across procedures and healthcare systems. Thus, recommendations to hospital administrators need to be nuanced – apparently depending on contextual factors. My graduate students and I always are looking for collaborations and for ways to use this research to enhance individual and organizational effectiveness. . . so please feel free to reach out to me at skaplan1@gmu.edu. Kaplan, S. Bradley-Geist, J., Ahmad, A., Anderson, A., Hargrove, A., & Lindsay, A. (2014). A test of two positive psychology interventions to increase employee well-being. Journal of Business and Psychology, 29, 367-380.
mistrust in allowing telework: Comparing and integrating theoretical perspectives. Journal of Business and Psychology, 33, 365-382.
interaction during crises. Journal of Applied Psychology, 94, 1536-1543. As a working professional, you know it can be difficult to dedicate non-working (and working) time to your personal and professional growth. Commitments, limited time, or money hold us back from taking the opportunity to focus on our growth and the growth of I-O psychology. However, opportunities do exist. One of the most prestigious and well-known of those opportunities is the Center for Advanced Study in Behavioral Sciences (CASBS). Since 1954, CASBS has been hosting a cohort of 40 fellows per year at the center, where they have no departmental or teaching commitments. Instead, they are given a study, each other, and the creative space to further their professional goals. Most of the fellows came to the center at crucial moments in their career (after applying and being accepted) and used their time at the center to write books, complete research, and develop theories. Among past CASBS fellows, 26 won Nobel Prizes, 24 won Pulitzer Prizes, and 51 won MacArthur “Genius” Awards. The Tyler Collection library holds all of the texts written at CASBS by the fellows, including (but certainly not limited to), Who Governs, by Ronald Dahl, The Structure of Scientific Revolutions by Thomas Kuhn and Freakonomics by Steven D. Levitt and Stephen J. Dubner. In addition to the center’s prestige and many accolades, the major draw for scholars is the collaborative environment. The CASBS website states that the environment allows fellows to gain “exposure to new methods, perspectives, theories, and problems.” Once per week, one of the fellows delivers a presentation on their area of interest to their peers. In addition, scholars from across the world often visit and meet with the current fellows. You might be wondering if any I-O psychologists have been part of CASBS. Many well-known social psychologists and organizational behavior scholars (e.g., Richard Hackman, Ed Lawler) have been CASBS fellows. For the first time, they hosted an I-O psychologist in 2016-17. That psychologist is Tara Behrend, P.h.D., Associate Professor of Industrial-Organizational Psychology at the George Washington University. Tara’s interest and research focuses on how people’s experiences at work have been impacted by technology. She is also interested in how I-O psychologists can build more fair and equitable workplaces and socioeconomic systems. Tara is the director of the Workplaces and Virtual Environments (WAVE) lab at GW. To apply for a CASBS fellowship, she proposed a project she would work on during her time there. However, like most CASBS fellows, the experience of being exposed to new perspectives changed the nature of the project. 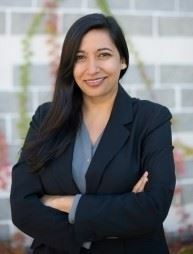 Tara is writing a book on privacy and surveillance; she also used her time at CASBS to develop a second book about Workforce Effectiveness that will be part of the SIOP Frontiers series. Tara said her time at CASBS, contributing to a book and collaborating with the other fellows allowed her to “seek refuge from the world and to think and collaborate in a very enriching environment”. Tara was able to choose the office she conducted her work in and she said she chose her office based off the influential social psychologists who had used the office previously. Because Tara is inspired by the work of Albert Bandura and Harold Kelley (among others), she chose to start her book in the space they once occupied while at CASBS. Overall, Tara had a fulfilling, inspiring and uplifting time as a fellow at CASBS. Tara said she enjoyed being an advocate for I-O, in a space that I-O has not traditionally participated in. Tara compared her experience to returning to college, where she was encouraged to interact with different people of different disciplines and from it “gained a deep appreciation for other social scientists” in addition to deepening her appreciation for I-O. After finishing her fellowship at CASBS, she returned to Washington, DC to continue her research and teaching, and continues to work on her books. Keep an eye out for her literature and work. It will be inspiring to see the next I-O psychologist attend CASBS and work in the “Behrend” study. PTCMW was established in March 1977. Only one person has been a continuous member of PTCMW since Day One. That member is Dr. Lance Seberhagen, Director of Seberhagen & Associates, Vienna, VA. He is a Founding Member of PTCMW and has held various positions in PTCMW over the years, including Recorder (1977), President (1989-90), and Calendar Chair (1982-2017). In 2014, he received the PTCMW Service Award for his service to PTCMW. PTCMW celebrated its 40th anniversary in 2017. As part of that celebration, Dr. Nikki Blacksmith, PTCMW’s past Newsletter Editor, interviewed Dr. Seberhagen to recall some highlights from PTCMW’s first 40 years. 1. To begin, tell us a little about yourself and your background. I was born in New York City and grew up in Scarsdale, NY (about 20 miles north of NYC). My dad worked for an advertising agency on Madison Avenue, just like Mad Men on TV. In 1958, we moved to Minnesota when my dad joined an advertising agency in Minneapolis, and I attended high school there. My dad’s work got me interested in consumer psychology, but he warned me not to go into advertising because it was too cutthroat (like Mad Men). Eventually, I found my way to industrial and organizational (I-O) psychology. I earned degrees at Brown University (BA, psych), Southern Methodist University (MA, I-O psych), and University of Minnesota (PhD, I-O psych). While at SMU, I worked as a Personnel Analyst for the Dallas Civil Service Department – in the same building where Ruby shot Oswald. While at the University of Minnesota, I worked as the Test R&D manager for the Minnesota State Personnel Department. I hired several other Minnesota graduate students to work in my unit, including Norm Peterson (later a PTCMW President), Ron Page, Gail Drauden, and Jean Barsaloux, all of whom became PhDs in I-O, plus Bob Etzioni (MS in I-O, George Washington University). As part of my duties for the State of Minnesota, I got a grant from the U.S. Civil Service Commission (USCSC) to write a book on Legal Aspects of Personnel Selection in the Public Service, which IPMA published in 1973. As part of my work on the book, I made several trips to Washington, DC to meet with Steve Bemis, Chief Psychologist at OFCC (later OFCCP); Jim Sharf, Chief Psychologist at EEOC; and various I-Os at USCSC (now OPM). I liked DC so much that I moved there in October 1973 to work as an I-O consultant for Planning Research Corporation in McLean, VA. From December 1976 to present, I have had my own I-O consulting and expert witness practice as Seberhagen & Associates in Vienna, VA.
2. As a Founding Member, can you tell us about the impetus for starting PTCMW? When I moved to DC in 1973, I knew Steve Bemis, Jim Sharf, and a few other I-Os, but I suspected that there were many more I-Os in the DC area. The problem was how to meet them. I gradually met more local I-Os through my consulting work and attending professional conferences (e.g., APA, IPMAAC, and BNA). This helped, but there was still much room for improvement. Steve was the perfect person to lead the creation of PTC/MW. He was a friendly and helpful I-O who already knew most of the I-Os in DC (and across USA) from his work for the federal government (Labor/OFCCP) and various DC consulting firms. He was also committed to the development of employee selection procedures that identified the best candidates, while maintaining equal employment opportunity. Steve felt this goal could be achieved if there were greater sharing of ideas among I-Os, lawyers, and other interested parties.